S. Renee Stadius, CPA (APAC) is dedicated to providing accounting, bookkeeping and tax solutions that fit the needs of small businesses and individuals. As a local West Monroe, LA CPA Firm our office is conveniently located and we offer personal service at competitive rates. Whether you're starting a new business, running an established business or just need annual income tax preparation, we're here to help. We can also assist you with a variety of accounting services. From financial statements, budgets and cash flow management to QuickBooks support, tax planning and new business advisory, we continue to strive for excellence in all we do. Let us put our years of experience to work for you! Call us at 318-699-0357 today for more information and to schedule your free initial consultation. Renee has over 20 years of tax and accounting experience. She serves business clients ranging from sole proprietors to privately owned companies. She graduated from Louisiana Tech University with an MBA specializing in Accounting and Northwestern State University with a Bachelor's Degree in Nursing. In addition to Renee's public accounting and entrepreneurial experience, she worked for the Auditor General for the State of Florida. Renee has also completed the CCH IRS Representation Certification Program and specializes in tax resolution issues. Her diverse background, multi-disciplined certifications and uncommon ability to listen and understand business issues, provides her clients the opportunity to tap into her experience, overcome barriers, adopt transforming strategies and confidently achieve more of what they value, sooner in life. 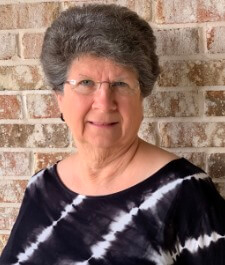 Renee is a member of the American Institute of Certified Public Accountants, Society of Louisiana Certified Public Accountant, Licensed CPA - State of Louisiana as well as a QuickBooks Desktop and Online ProAdvisor. Gail is the administrative assistant for our firm. She has been with the firm since 2010 and works hard to keep the office running smoothly and keep our clients happy. She has also worked with the West Monroe High School band as their secretary for the past 14 years. In her free time, Gail enjoys spending time with her husband Bruce and her grandson, Micah and traveling. She also enjoys researching family history and is a member of the local chapter of DAR and several other hereditary organizations. Camilla is one of our accountants whom has been with the firm since 2014 and most recently became a partner in the firm. She has a Bachelor's Degree from Southeastern Louisiana University. She has a Bookkeeper Certification from National Association of Certified Public Bookkeepers as well as being a QuickBooks Online ProAdvisor. She grew up in West Monroe and graduated from West Monroe High School. She works closely with Renee on accounting, payroll and the tax needs of our clients. Camilla and her husband Andrew have one child, Micah as well as their furry baby Lucy. In her free time you will find Camilla and her family traveling and enjoying the outdoors. Charlotte is the newest member of our firm, starting in 2015. She worked as a church secretary/administrator for over 14 years prior to coming to the firm. Charlotte is married and has two daughters and four grandchildren. In her spare time, she enjoys spending time with her family. She also volunteers in the community, primarily through Epsilon Sigma Alpha, an international philanthropic organization. Use our NetClient secure file transfer system to transfer files to us. Our CPA firm offers a free monthly accounting newsletter. Copyright 2005 - 2019 S. Renee Stadius, CPA (APAC) - All rights reserved. Accountant websites designed by Build Your Firm, providers of CPA and accountant marketing services.